Birthday: December 2 Height: 1.79 m Weight: 75 kg Blood type: B Sign: Sagittarius Life philosophy: "Work silently" Sanada Ryuu is also one of Sawako's new group. 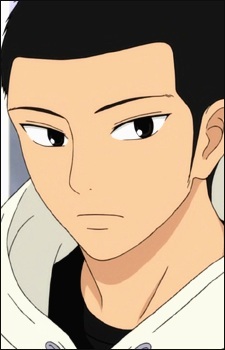 He is quiet most of the time, but can still communicate well with Sawako (as they both don't talk much anyways). He is a close childhood friend with Chizuru. He is also good baseball mates with Kazehaya since they both played together in middle school. He has had a crush on Chizuru since they were little.